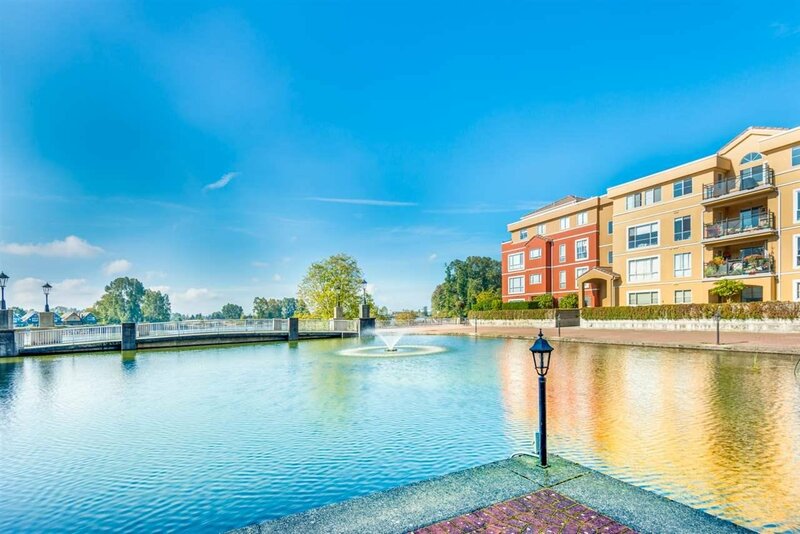 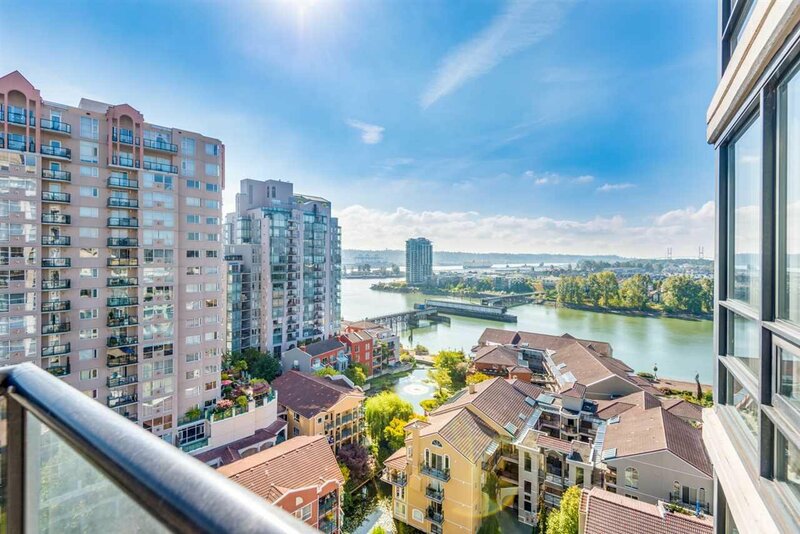 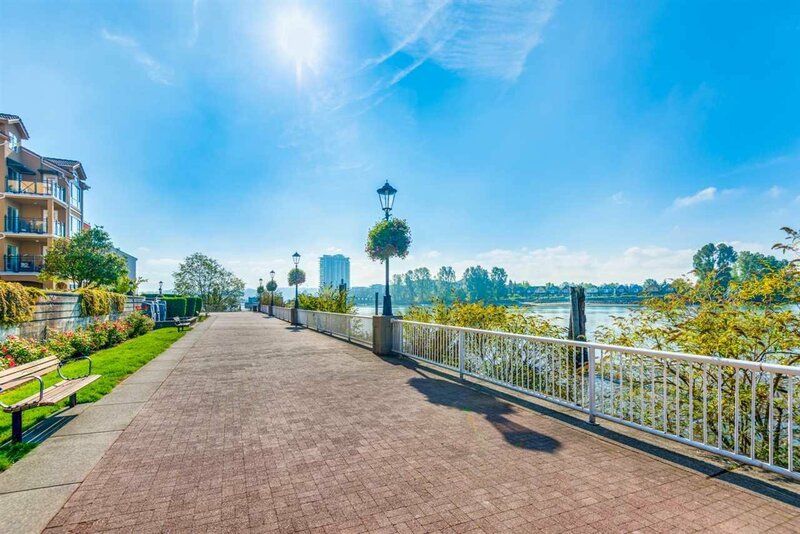 Panoramic views of the Fraser River and Queensbourough. 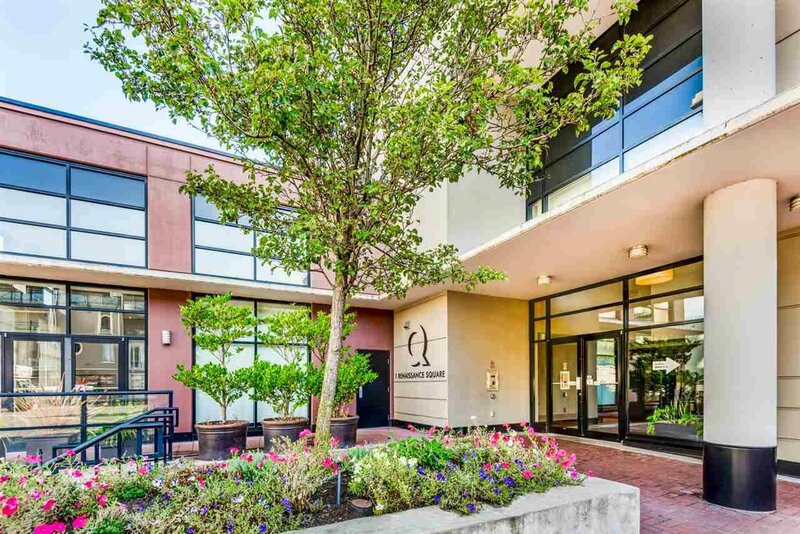 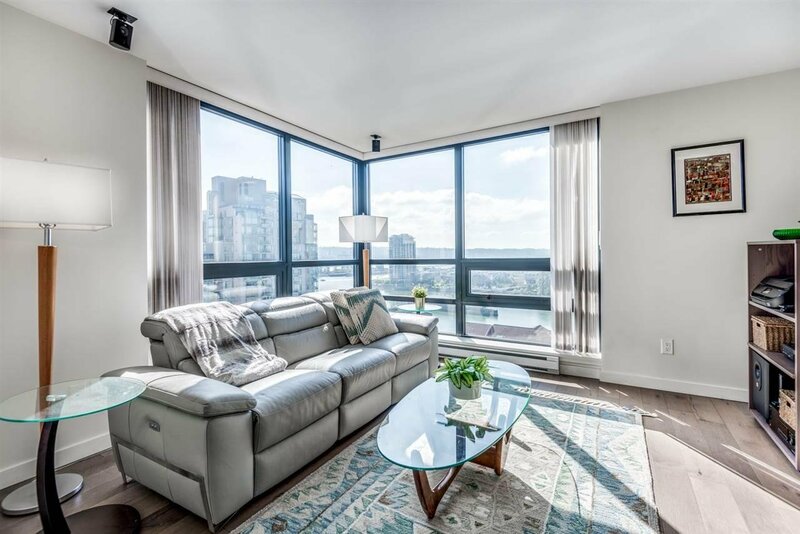 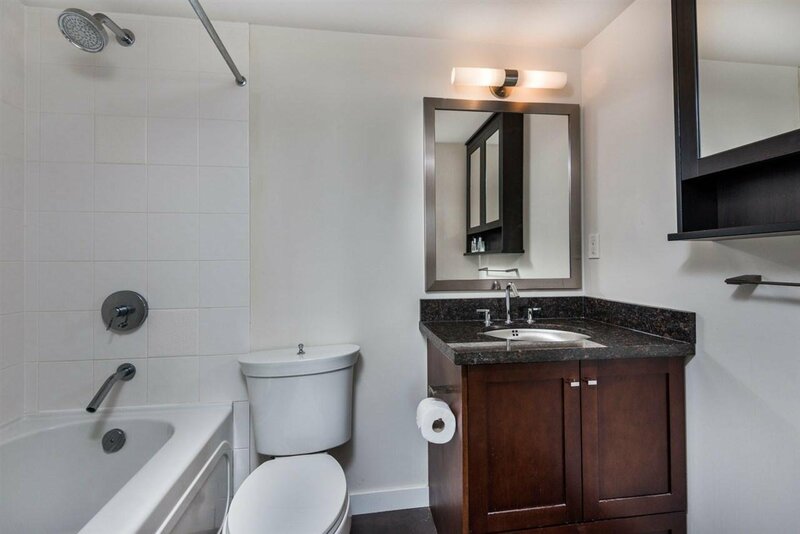 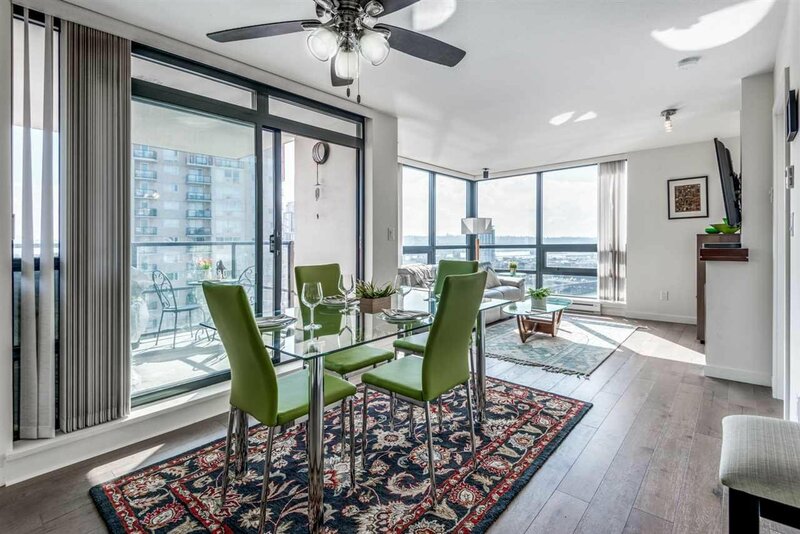 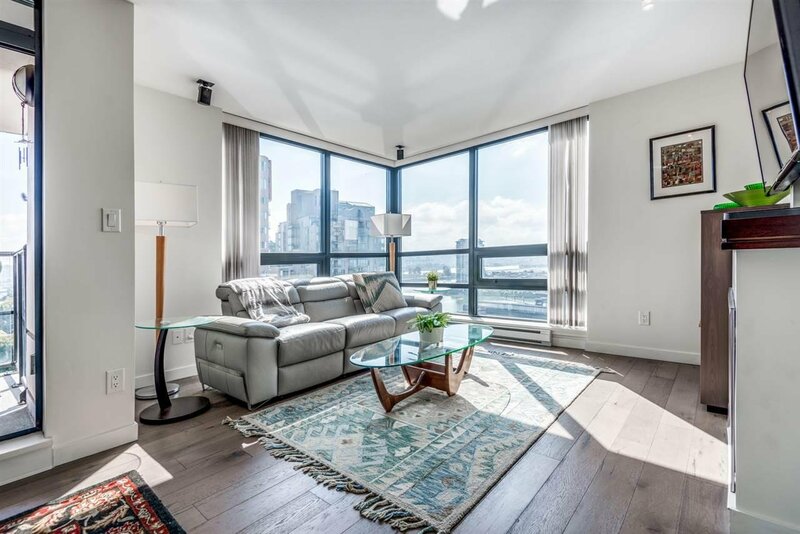 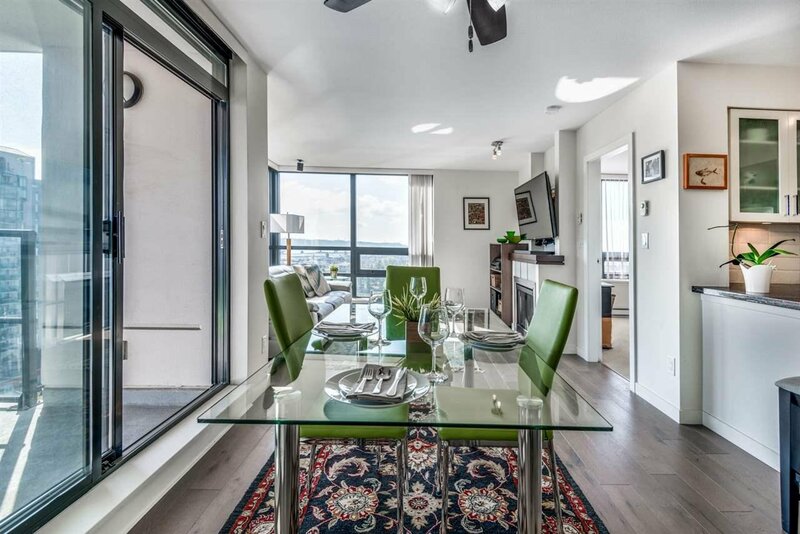 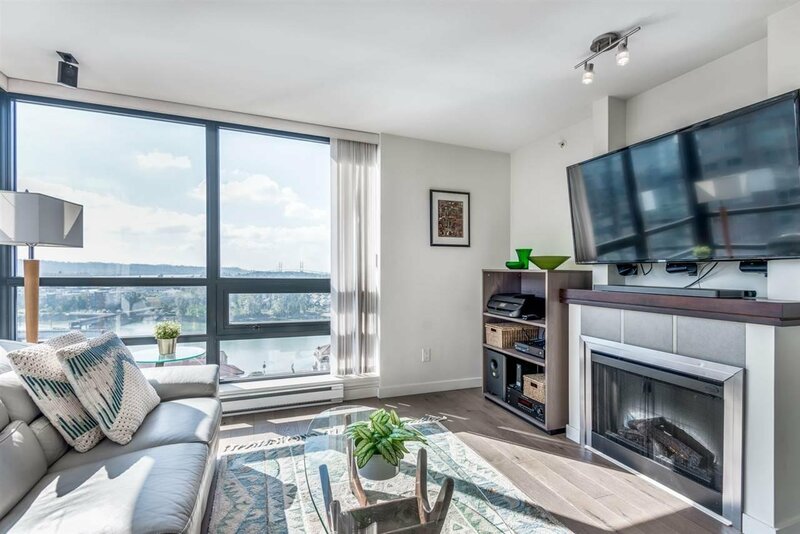 This 2 bed, 2 bath, 865sf condo is sure to impress. 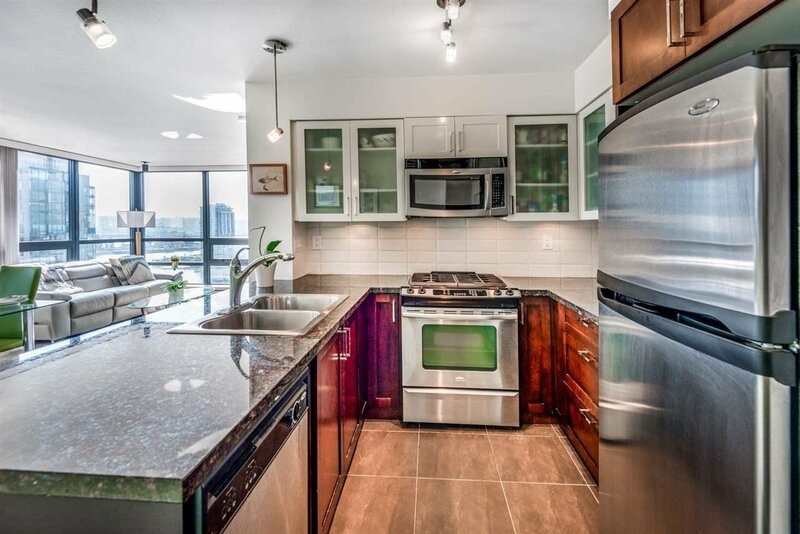 Showcasing its beautiful top of the hardwood flooring, open concept layout & incredible views. 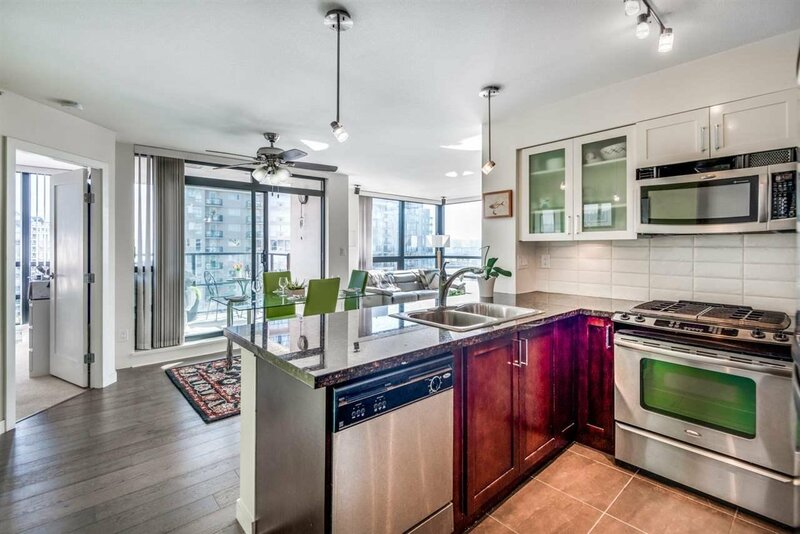 The kitchen has a great feel with its frosted white glass upper cabinets, dark features below, beautiful backsplash & stainless steel appliances including a gas stove. 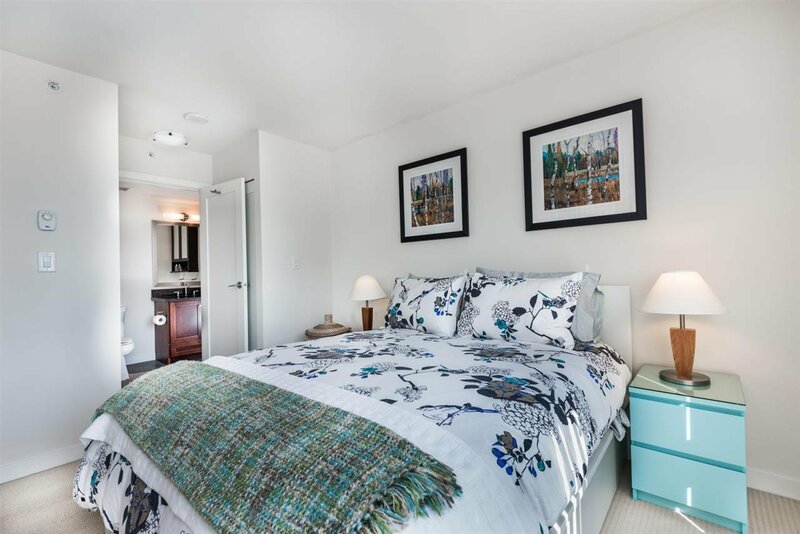 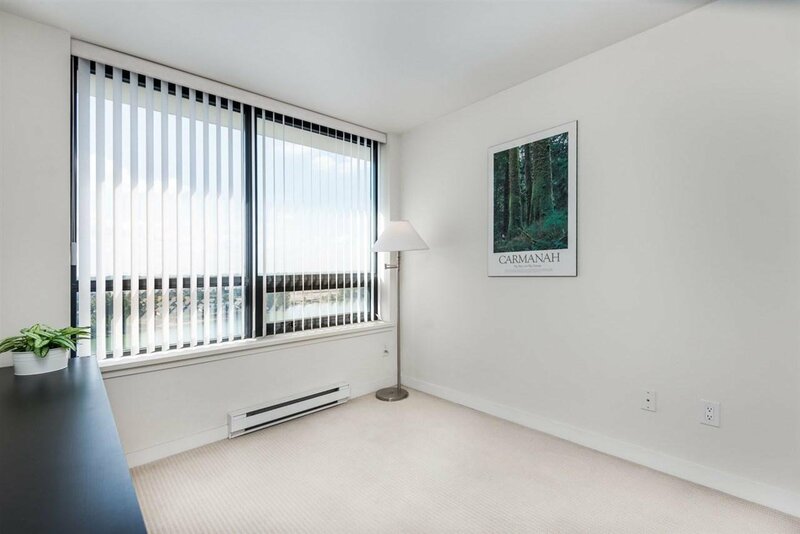 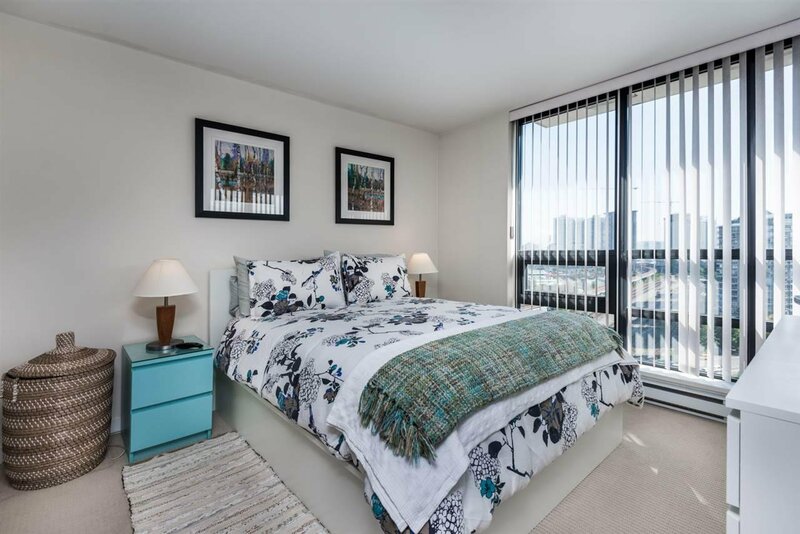 The bedrooms are separated across the condo with its second room overlooking the Fraser River. 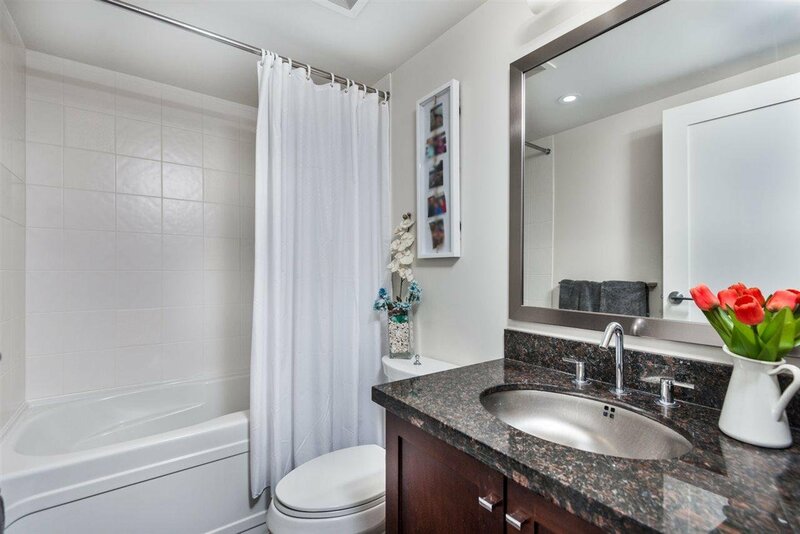 Your big master bed has a great ensuite with its own shower & bath. 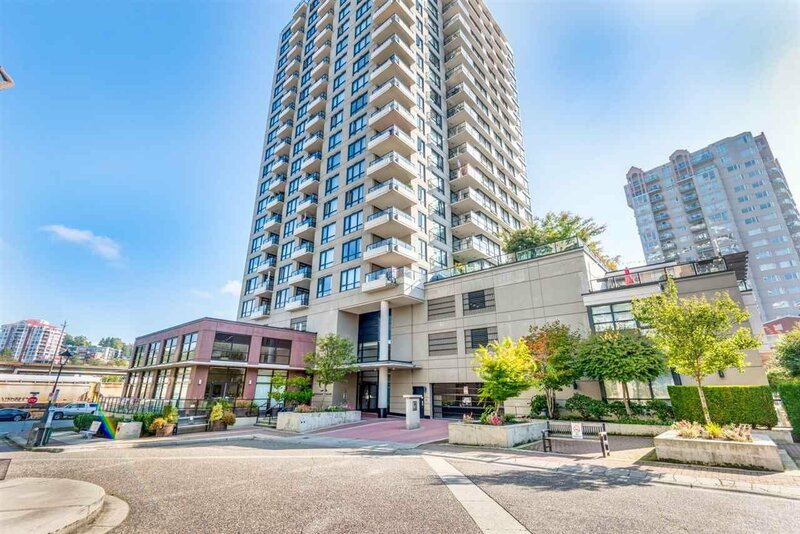 This corner unit has an amazing patio to enjoy, 2 parking spots, 1 storage, allows pets & rentals. 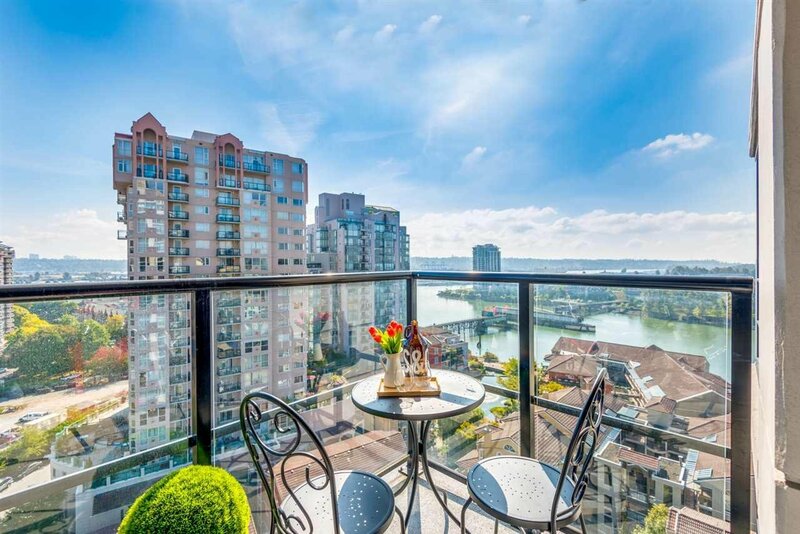 Plus you're only moments away from the Skytrain. 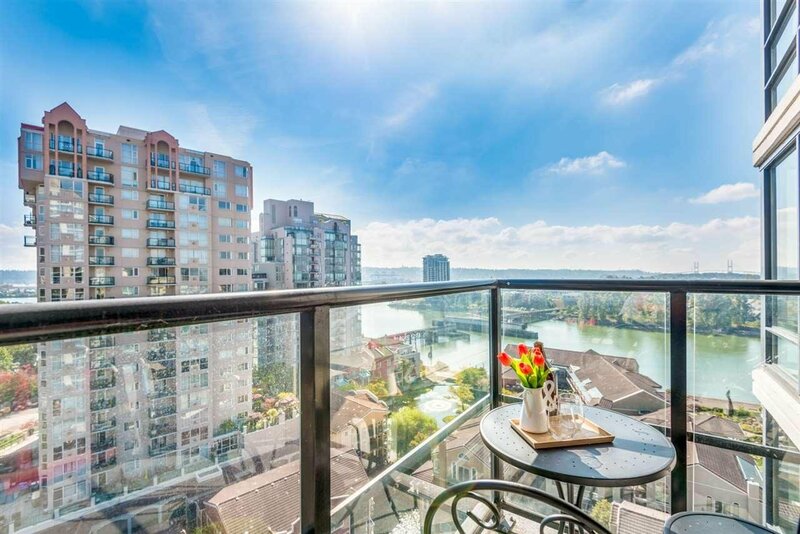 Come enjoy The Quay & the life that awaits you.